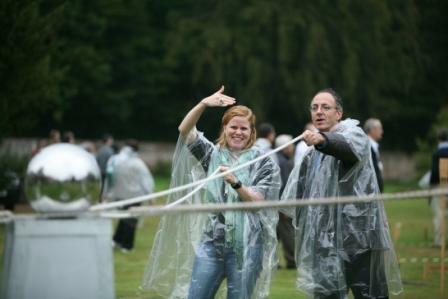 Rain doesn’t stop play – we carry enough rain ponchos for all guests on every outdoor event. Some activities can be done under cover, and there will be gazebos to shelter under between activities. “There’s not such thing as bad weather, only unsuitable clothing.” Some attribute this quote to Alfred Wainwright, Sir Ranulph Fiennes or John Ruskin – but whoever said it has a point!